Winter made it’s last stand yesterday, giving us Montrealers about 10 cm of snow to play with. I doubted too many people would throw out good trash but I decided to take a walk around regardless. I didn’t come across much of interest. In one place I found a couple of nice mugs and a metal colander, in another a couple of foreign coins. The best finds were all contained with this one bag. When I kicked it I felt a box that felt “interesting”. I opened the bag and saw that it contained some electronics. I wasn’t too far from home, so without looking much at what was inside I carried the whole box home. I didn’t want to get the stuff wet from the snow and also felt like enjoying the surprise of finding out what was inside. I had a good feeling about it, as if someone had taken a box of good (if old) stuff and decided to put it on the curb in the name of spring cleaning. Inside was some speaker wire, an alarm clock, a discman and a walkman. All the three worked fine, other than the alarm clock which has a broken AM/FM switch. The best thing though was this stereo receiver / amplifier. I plugged it in and hooked it up to some speakers and it works great! This model (Sony STR-AV550) has sold for up to 95$ on Ebay, but I’m going to hold onto it (unless I become desperately broke, of course). I’ve been hoping to find one, as I wanted to hook up my old record player and it’s good for testing any audio equipment I might find (such as the tape player on the top, which I found on New Year’s Eve and can now confirm works great as well!). Needless to say the room-mates are happy about our new ability to play records. We’re listening to a record of The Drifters as I write this; I wasn’t familiar with them before but they have a nice old-timey sound. 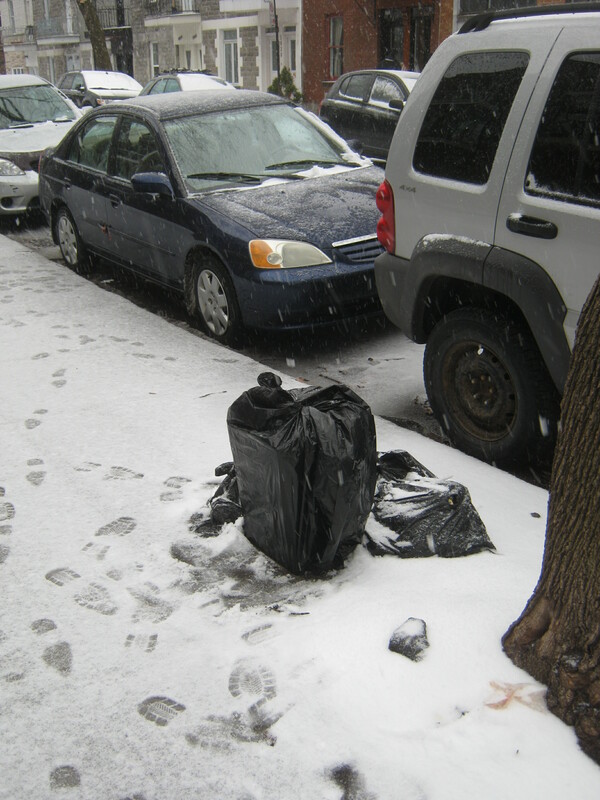 Overall, a pretty slow week for trash. I expect that things will pick up a little bit next week, what with the warming weather and the end of the month approaching. 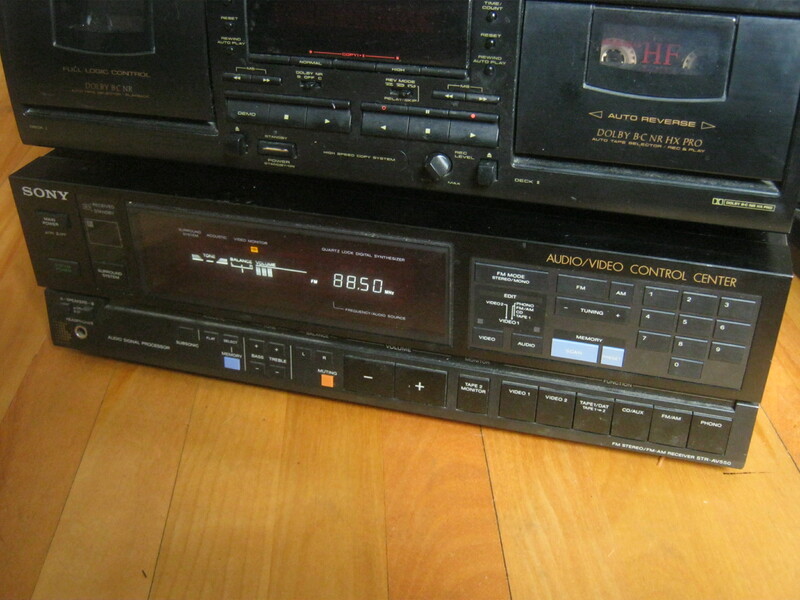 I have the exact same model with match CD player and dual cassette deck. Bought it new waaaaaay back for over $2,000.